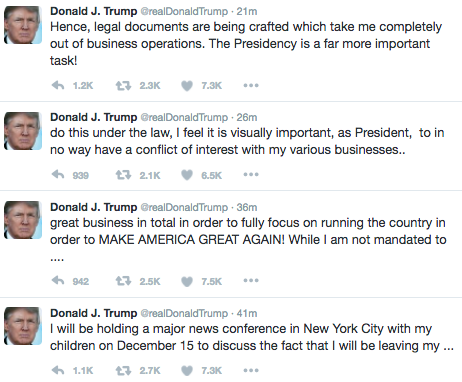 “While I am not mandated to do this under the law, I feel it is visually important, as President, to in no way have a conflict of interest with my various businesses,” Mr. Trump continued. 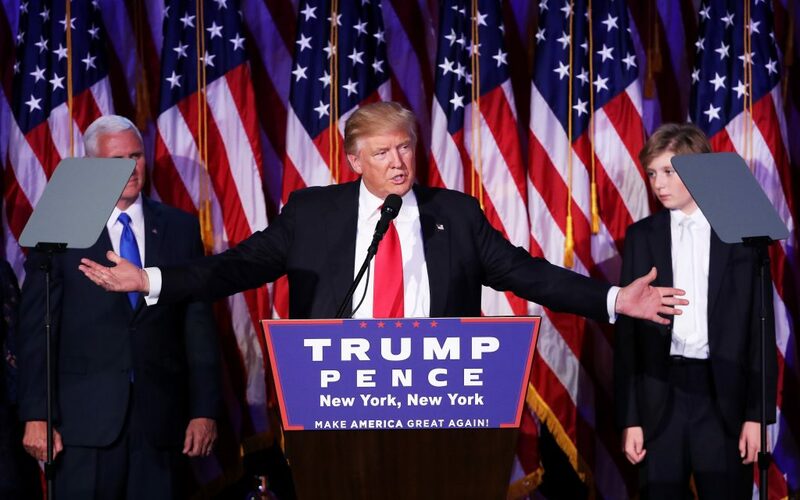 Mr. Trump noted that he will be holding a major news conference in New York City with his children on December 15 to formally announce the fact that he is leaving his business behind. This news comes after mounting criticism of the Manhattan billionaire who previously argued that he had no need to separate himself from The Trump Organization. An analysis by The New York Times, published last Saturday, said Trump’s companies have business operations in at least 20 countries. The Wall Street Journal said in a Nov. 17 editorial that Trump should liquidate his assets in order to avoid any appearance of a conflict of interest.